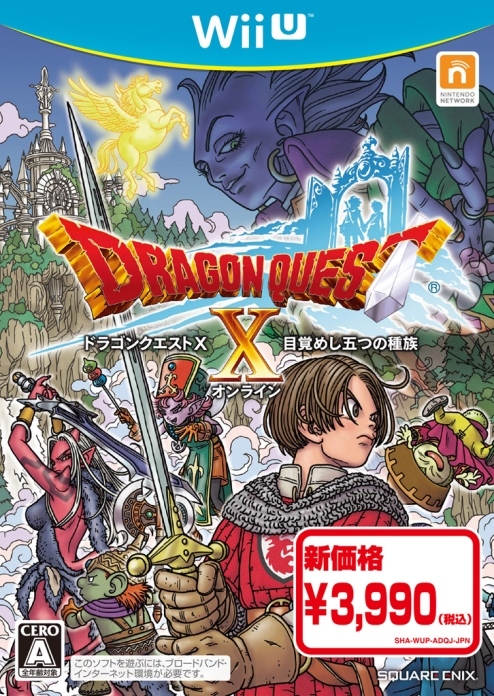 This week’s issue of Jump offers more information about the new Dragon Quest X expansion, The 5,000 Year Journey to the Distant Homeland Online. Three characters are introduced. 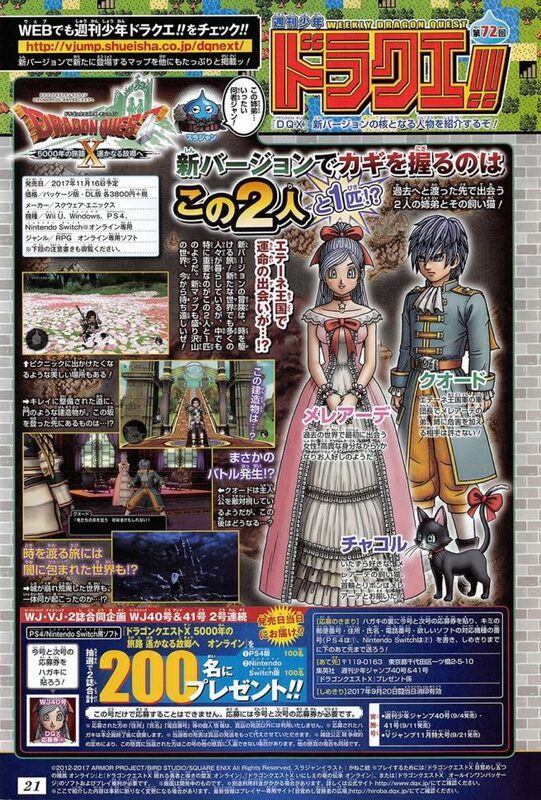 First up is Meleade, a woman you initially encounter in the past world. Jump describes her as a softhearted noble. You’ll also meet Quord, the commander of the Eterne Kingdom army and the younger brother of Meleade. Quord will fight anyone who tries to harm his sister. And finally, Jump shows Chacol, Meleade’s mischievous pet cat, with her collar and ribbon matching that of Meleade’s.